Hormone therapy (HT) is used to relieve one or more menopausal symptoms caused by declining estrogen levels. These symptoms may include hot flashes, night sweats and vaginal and urinary tract changes. 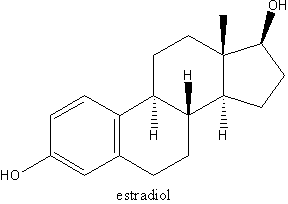 HT can be either estrogen alone or include a progestogen (either progestin or progesterone). Progestogen is added to estrogen therapy to decrease the risk of uterine cancer associated with estrogen-alone therapy for women who have not had a hysterectomy. If you have had a hysterectomy, estrogen-only therapy may be prescribed. Ask your health care professional for details about potential side effects and risks associated with any hormone therapy products you may consider using.